AA, NA, OA, and SLAA. These meetings have proven to be a successful recourse for helping the tens of thousands of people who struggle with addictive behavior. 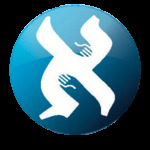 The Aleph Institute is proud to host these valuable tools and resources. For more information, please call us at (412)-421-0111 x100.